In my life, there are two different types of brunch. First, the “Sunday morning, I’m so hungover, let’s go the diner around the corner NOW” brunch. We all know the drill. You wake up in a haze, sometimes still drunk, sometimes alone, sometimes not – and you gather the strength to roll over and grab your phone. You text your roommates. Finally, you roll out of bed. You throw on your favorite old t-shirt that is kinda ripped, but somehow still slips right off your one shoulder, making you look and feel like yes, I did just roll out of bed, but hey, it’s brunch. You ignore the black mascara marks under your eyes. You figure, it’s just a clear sign you had a really great time last night. Throw that messy hair into a side bun like you used to do every day in high school. It’s brunch – who cares! 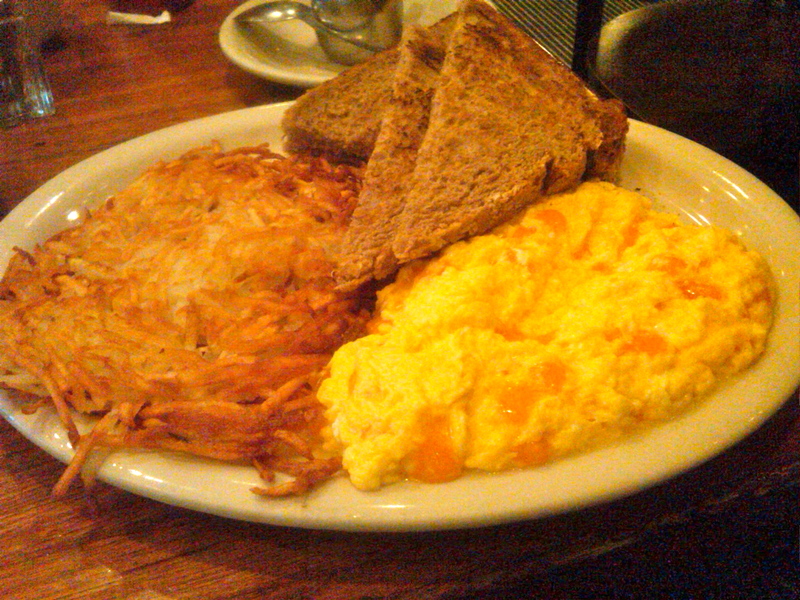 Pounding on your roommates doors, you complain that your stomach is grumbling and need greasy food and coffee – quick. You threaten them with a case of the grumpies if they don’t get their life together and hurry. With the troops gathered, ya’ll walk less than a block away towards the hole-in-the-wall diner that if you didn’t know existed, you would walk past everyday. You walk in, head towards your normal booth in the back, and get cozy. Motown plays in the background. Coffee immediately arrives on the table. The menu is small – yet, full of options. You literally want everything. Eggs. Hash browns. Grease. Fruit, to feel semi-healthy. French Toast. Pancakes, short stack. Toast. Jam. Carbs. Corned beef hash. You contemplate ordering for the table. Then you realize a short stack of pancakes clearly isn’t enough. You can’t stop thinking about how all this food better sop up all the booze you drank last night. Suddenly, your stomach churns. “Ugh. I forgot about those shots,” you say. Everyone groans and gulps down their large OJs, wishing all to be forgotten. Food arrives, finally. The table is silent, except for the clinking of silverware and clanking of glasses. There are some moans of happiness. The occasional, “OMG these pancakes.” That’s about it, though. Everyone is hungry, hungover and happy to just be eating. Five or so minutes later, plates are cleared and you slump down into corner of the booth. You wipe the ketchup off your face, take one last sip of coffee and push the plates far, far away. You’re feeling comforted – the only kind of comfort that truly comes from the fulfillment of needing food and getting it. Then, once the plates are cleared and the water glasses filled, the reminiscing begins. Your roommate tells you some stupid thing you did last night. You laugh, and turn red, trying to disguise your face with your massive coffee cup. Figures, you think to yourself. Ah, brush it off, you’re at brunch! Once the gentle poking of fun has ended and you begin to feel jittery from your fifth cup of coffee, you leave and head home, indulging in all things Sunday. You drift off to sleep, dreaming of brunch, encapsulated in your snuggie, and suddenly you wake up three hours later …. hungry. The second type of brunch in my life is kinda sorta the same, but kinda sorta different. For starters, I hated eggs as a kid. They freaked me out and I refused to eat them. Every Sunday, and usually some random days in between, my dad would take my brother and I to the 3rd Coast, a brunch, diner eatery type place that was right around the corner from our apartment. Before brunch, we always spent the morning at the Park, swinging on the swings, sliding down the slides or in my case – hanging upside down on the monkeybars in rollarblades (which later resulted in me breaking my nose). 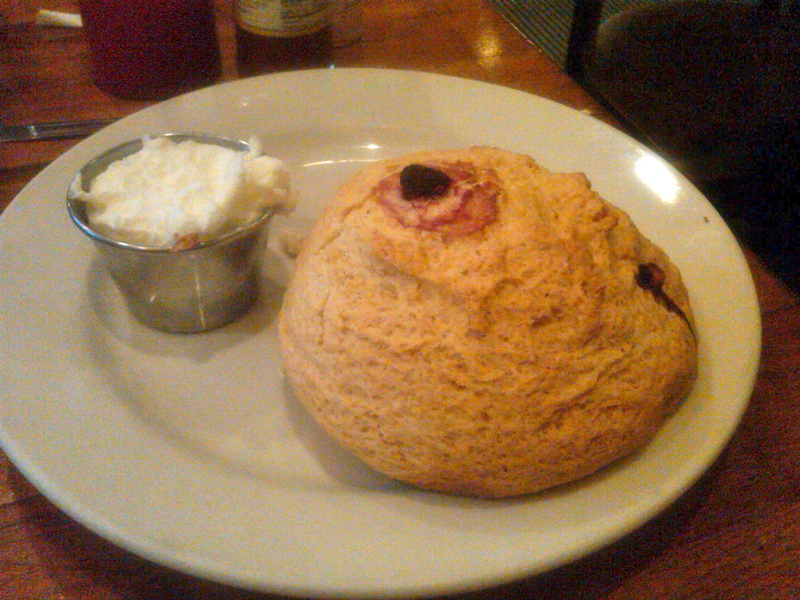 After playtime, we would skip down to the 3rd Coast and every, single time, without reason or rhyme, I got the raspberry scone. It always monstrously arrived on the table alongside a small container of whipped cream and butter, and o-m-g, it was so good. Fresh raspberries in the middle. The outside was sprinkled with sugar. It always tasted buttery, and tart and I always finished the whole thing. With my large OJ and side of hash browns drenched in ketchup, it was my dream breakfast. Carefree, not at all healthy, and delicious. Just recently, I went back to the Third Coast for the first time in years. Walking in, I was flooded with so many memories. It’s one of those places similar to my hangover cure diner place – small and limited menu, unlimited coffee, friendly staff and small and cozy booths scattered in a room the size of a small classroom. I immediately recognized a small corner table in the back as our table. 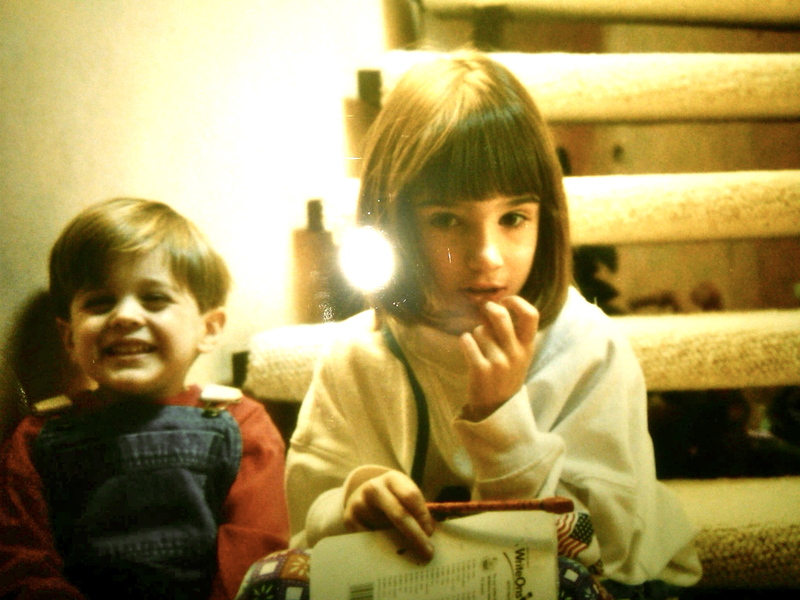 I’m not sure what kind of magic powers my Dad had, but he always got us that table. The three of us would cozy in, I would get my scone, Matt would get pancakes and my Dad would get eggs. My ten year old self would usually cringe, but now, my twenty four year old self is grateful. We would eat, Dad would stretch his legs out, sip his coffee and read the paper. It was routine for us – and it is something I simply will never forget. When I think about brunch, this is what I think of. I’m thankful for the memories, thankful for the time spent together as a family, and now, especially grateful that the raspberry scone still tastes just as good as it did ten or so years later. Merry Christmas, Allanabytes ! Thank you for the gift of your writing. I am prepared, now, for this coming Sunday morning after a night out with my buddies.